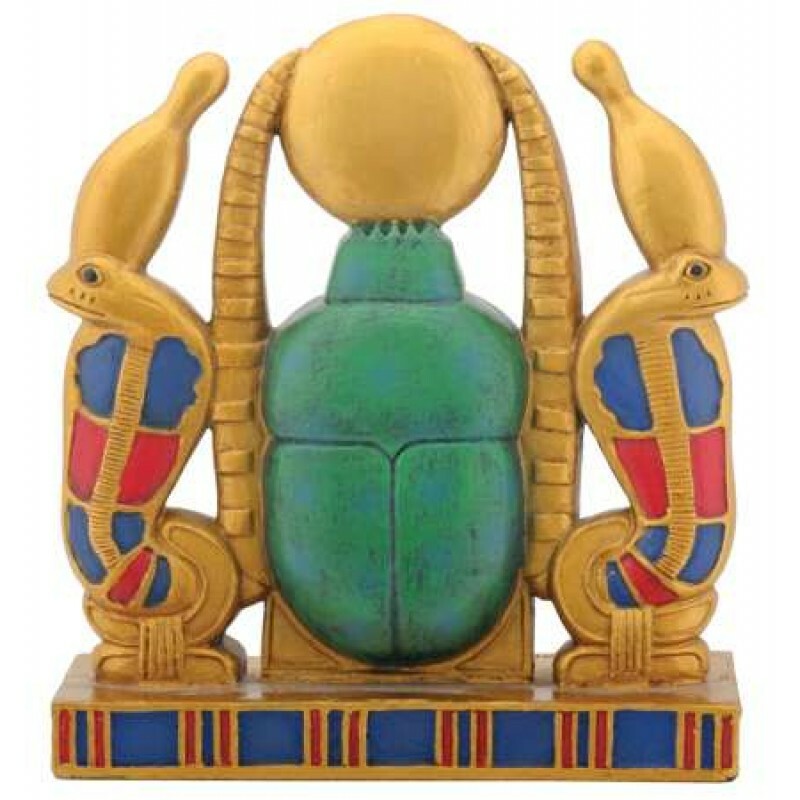 Scarabs represented the cycle of life to the Ancient Egyptian - that the sun (the God Khepri) would rise thru the sky every day reborn. 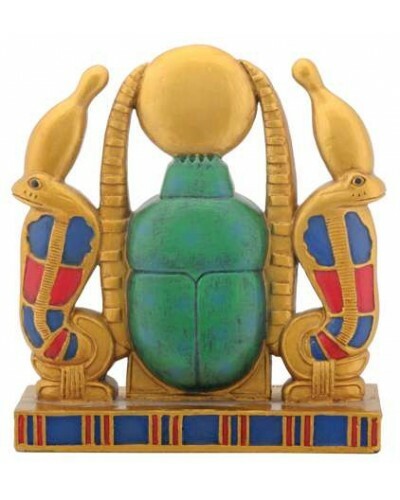 Cold cast resin with fine hand painted detail, this lovely statue is 4 1/4 inches tall. 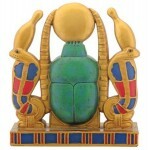 Khepri as the scarab is flanked on either side by Wadjet, the cobra rising from the Shen, symbol of eternity. 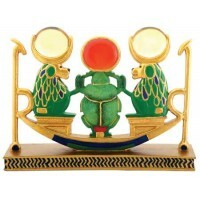 Statue measures 4 x 1.5 x 4.25 inches. Item Number: YT-7836 | Approximate Size (Inches): 4.00 wide x 1.50 deep x 4.25 high | Approximate Shipping Weight: 1.00 lbs.